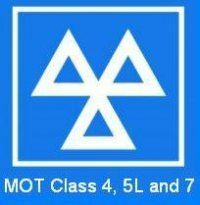 Paul Blackmore Motor Repairs provides expert car servicing and repairs in Bideford and throughout the North Devon area. Our client base includes both domestic and commercial customers. Based in Bidna Yard, Appledore we are a friendly local company whose knowledge of the motor industry has been accumulated over 23 years. We carry out repairs and testing at our vehicle service centre and workshop using diagnostic equipment so you can be assured complete peace of mind when choosing us for your car servicing and repairs in Bideford. All of our employees are qualified in the most up to date mechanical engineering practices. We offer competitive prices, so please do not hesitate to contact us on 08452 917268 for details, or complete our handy contact form and we will be happy to assist you with your motoring requirements. Here at Paul Blackmore Motor Repairs, we want to ensure that your vehicle is back on the road as soon as possible with minimum disruption to you, so call us today for a professional and thorough motor servicing company who are at your disposal.